After the holiday season filled with light and décor, does your house, in these dark days of January, feel a little drab by comparison? 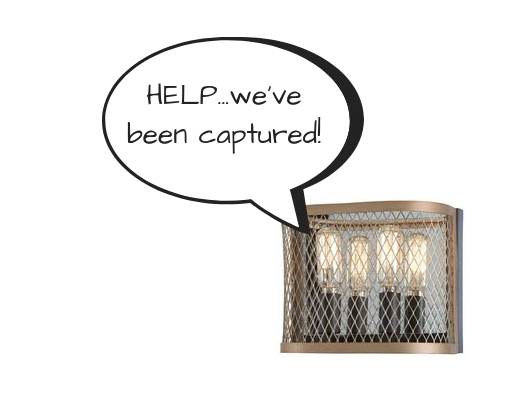 This is a great time to take a critical look at your light fixtures and update them where needed for a small change with big impact. 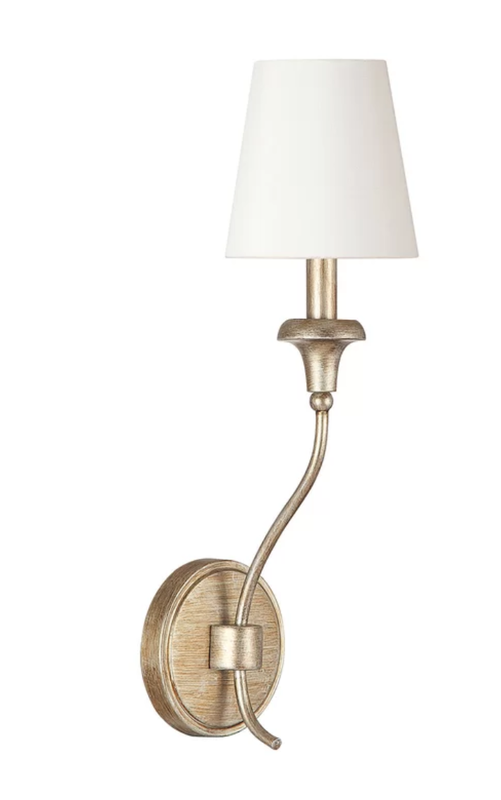 There are great new classic options right now that include natural brass, gilded iron, champagne metals, colorful painted finishes, and natural materials like bamboo, but once you have selected some great new fixtures, what is the right height to hang them? I’m so glad you asked! Please, I beg you, don’t just leave this up to your electrician…so many people get this wrong and the result is either dangerous or ridiculous! First of all, I’m assuming you have decided on the right size chandelier. Just in case, let me give you a few thoughts on that as well. For a dining room over a table, you can add the length and width (in feet) of the room together to get an idea of a good size (in inches) for the chandelier. Example: say you have a 12’ x 13’ dining room - the chandelier should be around 25” in diameter to work well with the proportions of room. This assumes the dining table is in proportion to the room as well! This petite chandelier is just the right scale in this condo breakfast nook over a small table for two overlooking the city. There are exceptions, of course. Always be sure the chandelier is at least 12”-16” narrower than the table so nobody conks their head or puts an eye out?! The style of the light fixture makes a difference in the size you choose also – something visually light in scale can be larger than something chunkier. 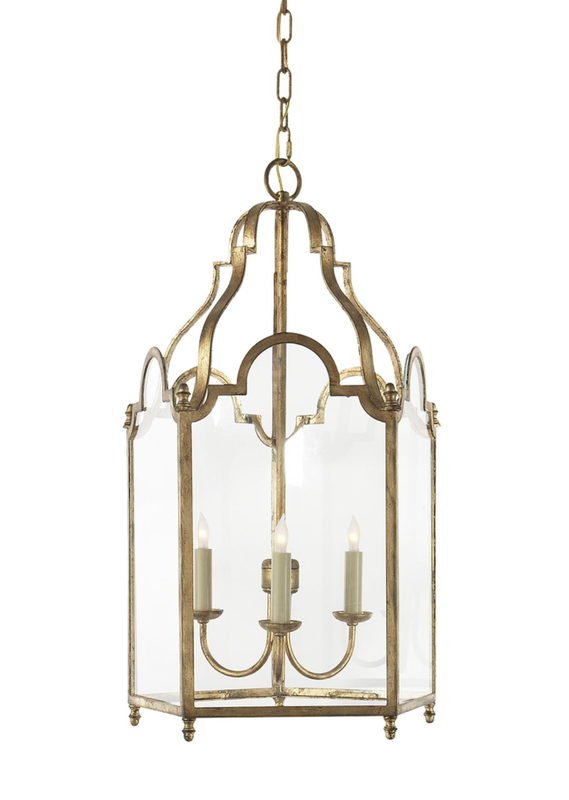 A lantern, drum, or bowl style chandelier will need to be smaller in diameter than a leggy candle style. In this grandly scaled dining room, we used two Paris flea market style chandeliers over the table which extends from sixteen to twenty feet. The higher ceiling and overall scale of the room called for hanging them slightly higher. 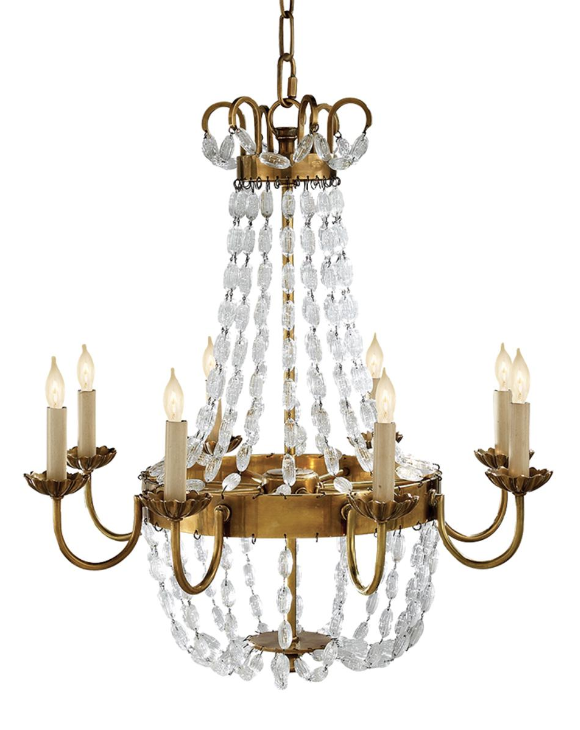 In terms of height, if it is going over a table or an island, there should be about 30” – 32” of clearance between the bottom of the chandelier and the table surface – this is for a room with an 8’ ceiling. For every additional foot of ceiling height, raise the chandelier another 3”. For a foyer, it depends on a lot of things around it – at the very least, be sure it is high enough so the door swing clears it. It is sometimes nice to center it on a transom window if there is a relatively large one over your front door. Ceiling heights and stairways will all factor into placement. Make sure it is a good 88+” off the floor or stair tread surface. In someplace like a living room or family room with a cathedral ceiling at least 88” from the floor works as well, but again, it depends on the scale and style of the light and the height of the ceiling. 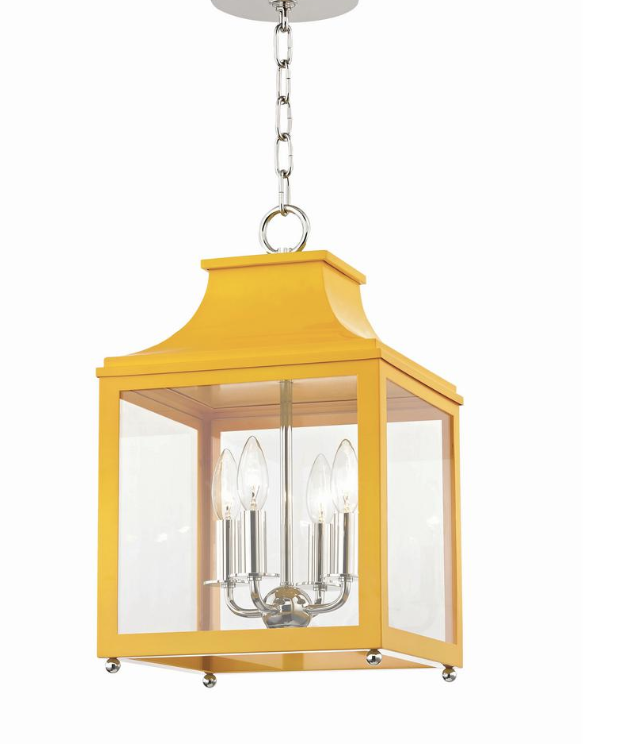 This bell jar fixture is the perfect style for this sunroom corner dining spot. This rectangular 10-arm chandelier works beautifully with both the scale of the room and style of the furnishings. The visual weight of the chandelier is mostly in the shades at the top of the fixture, so it is hung slightly lower than would normally be called for with this nine foot ceiling. How high do I hang the light sconces? In general, sconces should be hung so that the light is at approximately 60” – 65” from the floor, which is eye level for an average height person. This applies to wall sconces in a living space or on either side of a mirror in a bathroom. These bathroom wall sconces were mounted on the mirror - an excellent way to double the light! They are mounted at about 65” from the floor which is ideal if you are standing. Since this is a vanity area with a lower countertop, they could also be mounted a bit lower. These sconces are quite tall and the wiring is on the opposite end of the fixture from the bulb. The electrical box was mounted low so that the bulb would be at eye level. This is why it is important to have a plan in place BEFORE any work begins…and to communicate every detail to your installer. Over the mirror sconces in a bathroom should be at 78” – 84” above the floor. Several factors come into play here – ceiling height, mirror height, size of the fixture - the object is to not have it block your view in the mirror or be too close to the ceiling! Custom millwork was designed to mount these light fixtures over the mirrors in this master bathroom renovation. Sconces over a fireplace mantel will depend on the size of the mantel and ceiling height, but in a house with standard 8’ ceilings or lower, halfway between the top of the mantel and the ceiling is usually a good height. The style of the fixture may be such that the backplate where the electrician will mount the fixture is nowhere near the light bulb. These sconce heights are for the placement of the light bulb…so adjust accordingly for the electrical box! Sconces were mounted with the bulbs at a height midway between the top of the mantel and the ceiling, and centered over the mantel pillars on each side. As with most of design, the rules for lighting heights and sizes are for both practical reasons so the fixture can do it’s job, and aesthetic reasons so it can look good doing it. And like most rules, there are exceptions depending on the circumstances, the room, and the light fixture. Wishing you a brighter winter!